Our Sponsor Terms and Conditions, which provide additional terms governing your relationship with us if you are a sponsor. 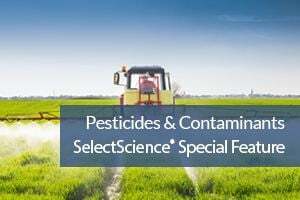 www.selectscience.net is a site operated by SelectScience Limited ("We"). We are registered in England and Wales under company number 3597730 and have our registered office at The Old Boardroom, Collett Road, Ware, Herts, SG12 7LR, England. Our main trading address is Science House, Church Farm Business Park, Corston, Bath, BA2 9AP, England. Our VAT number is 713563055. Our site provides information on scientific products and services. These products are for research use only and should be used by qualified personnel only. Some products and equipment may be extremely hazardous and the user of such products should refer to supplier's instructions. We are not responsible for any products or services. By submitting content to our site, you grant SelectScience a nonexclusive, royalty-free, perpetual, transferable, irrevocable and sub-licensable right to (a) use, reproduce, modify, adapt, translate, distribute, publish, create derivative works from and publicly display and perform such submissions throughout the world in any media, now known or hereafter devised, for any purpose; and (b) use the name that you submit in connection with such submission. You acknowledge that we may choose to provide attribution of your comments or reviews at our discretion. If you wish to make any use of content on our site other than that set out above, please contact editor@selectscience.net. SelectScience™ and SelectScience.net™ and Scientists' Choice Awards™ are registered trade marks of SelectScience Ltd.
To contact us, please email office@selectscience.net.